Cuba’s final National Series weekend finished with a true flourish – a Sunday afternoon crammed with sufficient action that included a new league home run record and three teams reaching playoff status on the final day of the campaign. Alfredo Despaigne “walked off” with the hotly disputed home run crown and upped his league record on his second-to-last at-bat of the season. Despaigne also claimed the RBI title but the talk of the day was the sixth inning homer – number 36 of the year, number 200 of his brief career, and ironically an “inside-the-park” smash that never left the field of play. Also stirring plenty of conversation was the fact that Despaigne’s close rival José Abreu lost out on any chance at a Triple Crown when he sat out the final game, after have closing the RBI gap to but a pair in recent days. It was the second straight year that Abreu surrendered a Triple Crown opportunity in the season’s final game. 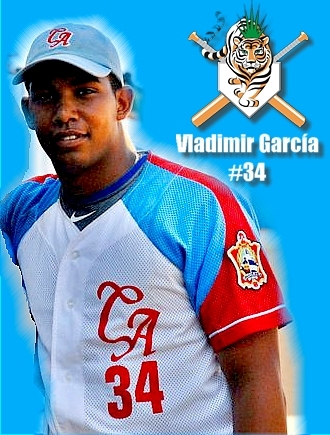 Player of the Day: Vlad Garcia turned in a brilliant 7-inning effort Sunday to lift his Tigers into the post-season picture. On other individual fronts, Artemisa flamethrower Yadir Pedroso managed to tie Odrisamer Despaigne (Industriales) for the league strikeout lead while Holguín’s Pablo Millan Fernández (1.52) barely clung to his sparse lead over Ciego’s Valdimir García (1.72) for bragging rights in the ERA department. Ciego manager Roger Machado was forced to use his top hurler García on the final day of the season (rather than saving him for the playoff opener) since the Tigers desperately needed a victory for post-season qualification. Vladimir responded and turned in a brilliant 7-inning outing for a winning effort during which he surrendered only a single unearned tally. The chaotic Oriental League playoff picture was not finalized until late afternoon when injury-riddled Santiago was knocked off the post-season calendar for the second year in a row. Sunday opened up with a four-way race still raging for the three league runner-up slots. Las Tunas needed a win in their two-game set with Industriales to avoid possible elimination. Yet despite their 10-9 defeat in the twin-bill opener the Leñadores backed into the post-season thanks to Santiago’s second loss of the weekend to basement-dwelling Mayabeque (the team that finished play with the season’s worst record). Ciego managed to qualify by holding on against Abreu-less Cienfuegos. Thus the final tussle game down to Granma and Santiago, once the Stallions had kept their own slim hopes alive on the strength of a 10-1 romp over Isla. It looked for a while like Santiago would be able to salvage their season on home turf but weak pitching and a short lineup (with Héctor Olivera and Reutilio Hurtado on the sidelines) spelled doom in an embarrassing eleventh-hour 9-7 stumble against pesky if not very potent Mayabeque. The opening round playoff matches are now set for this coming week. In the Western Division first-place Matanzas will host underdog Sancti Spíritus. Evenly matched Cienfuegos and Industriales will square off in the other Occidental quarterfinal shootout. In the Oriental League clashes Villa Clara entertains Granma and Despaigne during the quarterfinal round while Las Tunas and Ciego de Avila slug it out in perhaps least predictable series of the four. North coast neighbors Villa Clara and Matanzas seem to be on a collision course toward this year’s finals – but numerous surprises are still likely to unfold as the season moves towards its exciting conclusion.